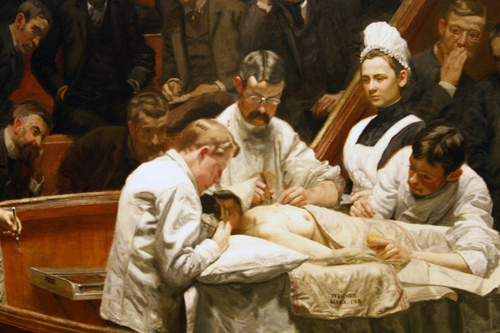 Thomas Eakins' most important commission and largest painting (oil on canvas, m.1,89x3,31), was painted 14 years after "the Gross Clinic" and represents another eminent American surgeon, Dr. David Hayes Agnew, performing a mastectomy. Some notable differences with the previous painting accounts for medical evolution and progress of that period: Dr. Agnew and his assistants wear white gowns and no more civilian clothes; antiseptic measures are taken; the only present woman - apart from the patient herself - is no more a weeping relative but a fully conscious nurse1. 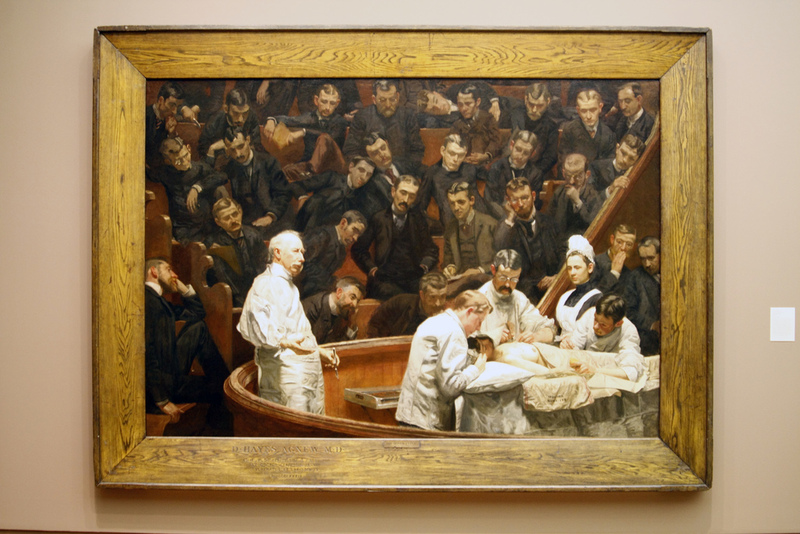 The painting remains the property of the University of Pennsylvania, but the public can view it at the Philadelphia Museum of Art where it is currently housed under a renewable loan arrangement2. 1. See Ira M. Rutkow, Storia illustrata della Chirurgia, Delfino Editore, Roma 1996, p.453.